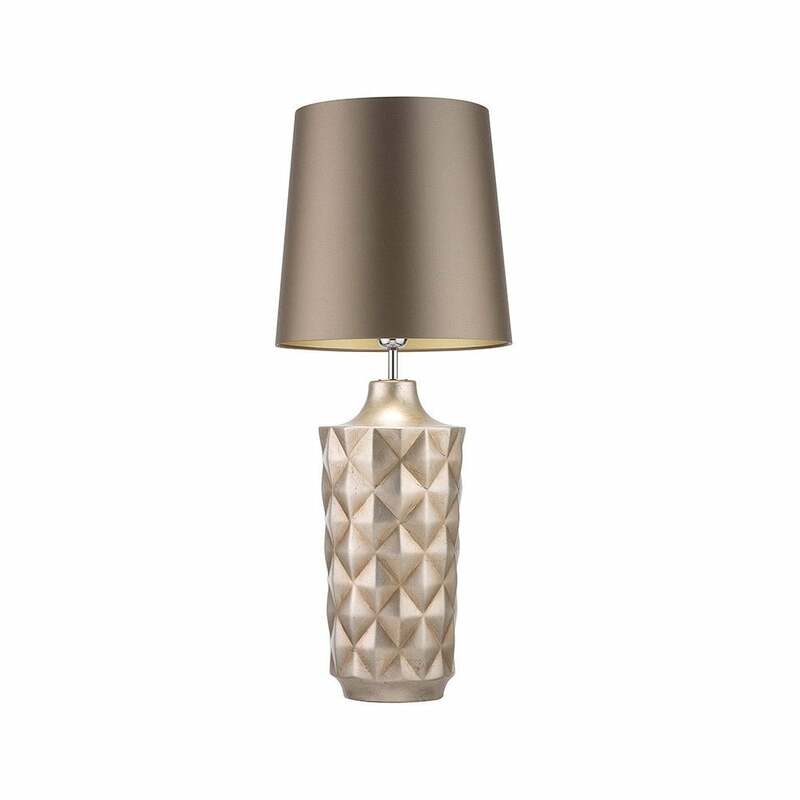 Hand-crafted in the UK, the Herzog Table Lamp by Heathfield & Co features a unique geometric shape and patterned base. Art deco in style, this striking table lamp is available in two timeless metallic colourways - Champagne and Antique Gold. Its' radiant sheen is offset by a luxurious gilt satin shade. Choose a dark mocha shade for a contrasting look or a pale, glossy mink for a subtle effect. Get in touch with our team for advice, tips and samples.